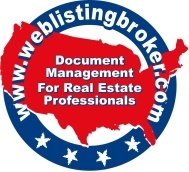 Thanks for visiting Web Listing Broker powered by Property Systems. This is the site used to manage properties and to provide information to you in all of our markets. RENTAL LISTING - Tenants and agents with tenants, please contact the owner directly and negotiate directly with the owner, and confirm your fee. If you want to be listed as the leasing broker, send the details to us at listingbroker@propertysystems.com and we will enter in the MLS when leased. 1. SHOWING INSTRUCTIONS & ACCESS - To show a listing, please follow the instructions in the MLS. You may need to look in the private remarks for the contact person and lock box information. Some properties have lock boxes and some do not. Please feel free to use the automated showing software (Showing Time) available in some of the MLS systems. If a property is active in the MLS the property is available. We update the MLS within minutes of acceptance of an offer when notified. We have no control over an owner's schedule and have the same information listed in the MLS. 2. LISTING BROKER COMMUNICATION - If you need assistance from the listing broker, please send your question electronically per the e mail address in the MLS with the address of the property in the subject line. Once inside a property, look on the dining room table for seller disclosure statements, commission agreements, etc. IF YOU ARE MAKING AN OFFER PLEASE ALERT THE LISTING BROKER FOR INSTRUCTIONS BEFORE MAKING THE OFFER. AGAIN CONTACT THE LISTING BROKER FOR INSTRUCTIONS BEFORE YOU COMPLETE THE STATE FORMS. DO NOT ASSUME ANYTHING UNTIL YOU CONFIRM INSTRUCTIONS FROM THE LISTING BROKER. 3. MAKING AN OFFER - AGAIN, PLEASE E MAIL THE LISTING BROKER BEFORE MAKING AN OFFER SO WE CAN BRIEF YOU ON THE SITUATION. 4. E SIGN - As an agent, please send the offer on the E Sign software for the state forms. We prefer the e sign software from the MLS through FMLS and GAMLS. 5. NEGOTIATIONS OF AN OFFER - IF YOU NEED ASSISTANCE DURING NEGOTIATIONS FROM THE LISTING BROKER, PLEASE MAKE A REQUEST VIA E MAIL. Usually, the terms of your offer will be negotiated verbally and/or via e mail. To verify multiple offers, please click on the "Search Offers" icon below to help with guidance for the buyer. Not all offers are posted here. Please have the closing attorney hold all earnest money funds. The listing broker does not hold escrow funds. Once the terms of the offer are accepted, please submit the state form contract on the E Sign systems used in the MLS System and include the owner. Please send ALL documents for the transaction at one time in one session to all parties involved. Please include the Commission Agreement/Instructions To Closing Attorney and Seller Disclosure Statements, etc. TIPS AND HELPFUL HINTS - The goal of this site is to give real time status reports to all related parties to a specific property. The graphics are designed to be used by any user on smart phones, tablets, and computers. HELP - If you need help, click on the icon above called "HELPDESK" and your question will be sent to the on line manager. Please be specific with any questions. * Inventory List - Click here to see the properties serviced by the Web Listing Broker. Most properties have pictures, comparable sales and listings, and other helpful information. * Search Offers - See what offers are on the table and confirm if you have any competition with multiple offers. * Confirm Offer - Search and confirm to confirm if your offer has been received by the listing broker. * Availability - If a property is active in the multiple listing service, it is available. This is the web listing broker policy on availability. Click on a below icon for the area where you need information or service.